Brian Corrigan, left, founder and CEO of MadGlory, a Saratoga Springs-based video company, poses with Clarke Foley, director of operations, at their Phila Street office. MadGlory, a Saratoga Springs-based video company, was acquired in March by PUBG Corp., based in Seoul, South Korea. The acquisition of online service developer, MadGlory, is part of PUBG Corp.’s continued effort to enhance the playing and viewing experiences for PUBG players, the company said in a new release..
As one of only a few independent studios that specializes in bespoke online features, MadGlory, now known as PUBG MadGlory, and PUBG Corp. will work together to help build a wide range of new features as well as a suite of tools that let community developers extend the in-game experience, officials said. Its office is on Phila Street. MadGlory is known for creating custom matchmaking engines, tournament platforms, party systems, open game APIs and eSports portals for many of the biggest games in the industry. “We’re excited to welcome MadGlory under the PUBG Corp. umbrella as we look to work together in developing and building a wide variety of platforms and systems for PUBG,” said Juhyeon Kim, vice president and director of intelligent service development at PUBG Corp.
PUBG Corp. and PUBG MadGlory are launching a PUBG developer portal as a place for community developers to create tools, websites and add-ons that leverage the data and APIs from PlayerUnknown’s Battlegrounds, officials said. The developer portal sign-up page is now open and the portal launched to the public on April 2. With over 10 years of niche expertise in gaming, the team at MadGlory is well-versed in launching feature-rich, planet-scale services to over 200 million players each year. They provide in-game and companion products for some of the biggest names in gaming including Riot Games, Bethesda, Psyonix, Super Evil Megacorp and WB Games. 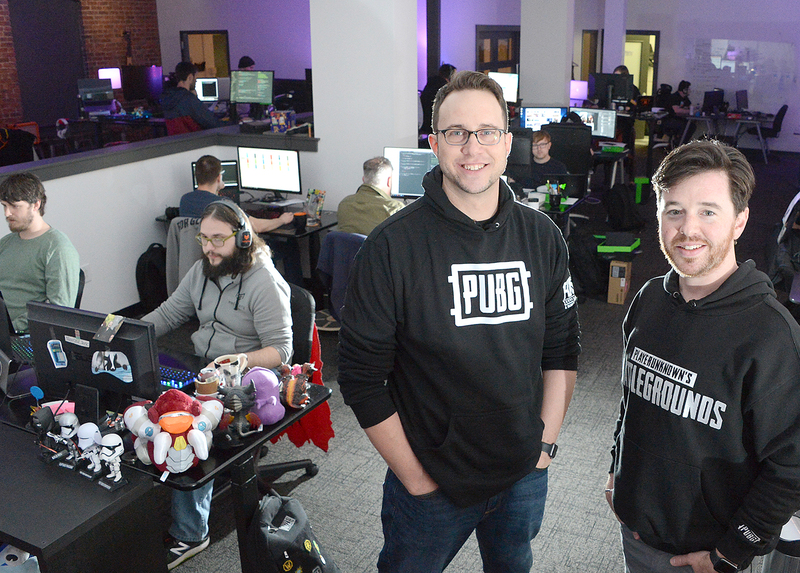 PUBG Corp. is focused entirely on development and business opportunities for PlayerUnknown’s Battlegrounds, and was formed as a subsidiary of Bluehole in early 2017. PUBG has won industry awards and continuing to grow its multi-million user fanbase. For more information, visit playbattlegrounds.com/main.pu. Founded in 2007 and based in Korea, Bluehole is the developer of the popular action MMORPG, TERA, which has attracted over 25 million registered users worldwide. TERA is live in seven different territories including North America, Korea, Japan, Taiwan, Europe and Russia. Having achieved recognition for its online roleplaying games, the studio has also expanded into the mobile gaming market.